Is it protected, or not? – Forest & Bird Is it protected, or not? Is it protected, or not? Forest & Bird has decided to take a stand on DOC’s decision to downgrade the status of part of Ruahine Forest so that it can be given to the company behind the Ruataniwha dam. 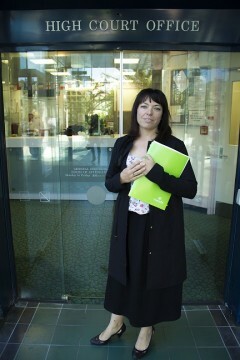 Forest & Bird lawyer Sally Gepp with the judicial review application. Our legal team has asked the High Court to decide if DOC’s decision is legal – we think it’s not. The key issue is whether an area legally protected by the Conservation Act and deemed a Forest Park can be demoted to stewardship land (land that has not been formally classified as having significant biodiversity or recreational value), to allow it to be removed from the Park. 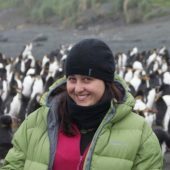 By doing so, DOC has set a precedent for all forest parks, conservation parks, and ecological and wilderness areas in New Zealand. Nearly one million hectares throughout New Zealand are classified as ‘specially protected’ areas, providing essential habitat for our native wildlife. Until early this month, we all thought that specially protected meant just that. Protected. According to DOC, it doesn’t. The question of whether the Ruataniwha dam should go ahead has, up until now, largely been a regional conversation on sustainable farming practice and water quality. But almost overnight, this issue has become a nationally significant question about New Zealand’s specially protected conservation estate. Is it protected, or not? We’re asking the High Court to decide. The Ruataniwha dam site was as recently as 3 years ago occupied by kiwi as reported by a knowledgeable friend who camped their with her family. I understand that the campground owner is also aware of this . I have previously made submissions on and attended hearings with respect to the Ruataniwha Water Storage Scheme. I am hoping that you can make these questions known to the Regional Council members. Could you please determine what is the HBRC level of insurance on leasehold lands that are subject to the agreement with ACC? If the lands were liquefied in an earthquake it may be that there is reduced or no income resulting from the leasehold lands. I assume HBRC would still be required to pay the agreed upon money to ACC for 50 years even if the lands’ occupancies were terminated. Are the leasehold lands fully insured for earthquakes and other risks? In the coming 50 years the HBRC leasehold lands could require costly remedial works to keep them above sea level and keep them occupied. Has this been costed and considered? Has earthquake insurance been obtained (at what annual cost) for the dam and infrastructure? Has it been considered that the ACC funding may be better spent on the Napier to Gisborne rail?